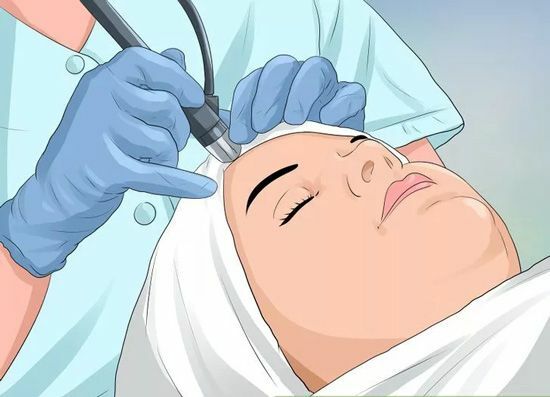 Laser hair removal is a popular cosmetic procedure received by women and men alike, mostly because it is an affordable, less painful procedure than the traditional electrolysis. As laser hair removal becomes more popular, becoming a Laser Hair Removal Technician can be a challenging and rewarding new career. 1. Know your state requirements for Laser Hair Removal Technicians. There are no federal laws governing laser hair removal, so each state has their own regulations. Make sure that you know what those regulations are and find a school which will give you a certification recognized by the state where you intend to work. 2. Find a school near you. Each state offers accredited schools for training as a Laser Hair Technician. Research the schools available in your area to find the best fit. Consider asking if they offer job placement assistance upon graduation for that extra push once you have finished your training. 3. Save money for your training. Learning the skills to be a technician and getting your certification can be costly. 1. Take classes to learn the basics of laser hair removal. You want to be comfortable in the classroom before you put your training into practice. Technicians need to be familiar with the process as well as safety precautions and machine maintenance. 2. Practice with hands on training. Be sure to practice in a clinic before applying for a job and working on clients. Work in this safe space until you are confident in your skills without an instructor on hand. 3. Go above and beyond the requirements to hone your skills. Even if your state does not have minimum requirements for training hours, continue learning and training until you are confident in your abilities. 1. Create a resume. Once you have completed your training, create a resume listing your goals, training and relevant experience. You will also want to list your contact information, so employers can reach you if they are interested in setting up an interview. 2. Check job sites for open positions. Several online resources will list job openings in your area. Search on some of the larger job boards like Indeed, Monster, and Career Builder. You can also search for jobs in your particular region. 3. Visit salons in your area. Compile a list of the salons in your area which offer laser hair removal. Visit each salon to inquire if they are hiring. Be sure to have a copy of your resume on hand in case they are looking for employees, and offer to leave a resume with them for future reference if they are not currently hiring. 4. Build a client base. Some salons may already have a built in client base, but it is helpful to know how to increase your number of clients and build your own client base.